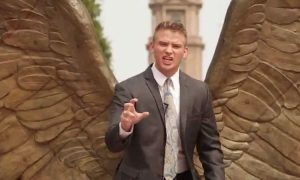 Home » Weird News » Why Are These Texas Criminal Attorney’s Ads Going Viral? Bryan Wilson, Texas Law Hawk! Screenshot courtesy of CNN. Summary: A Fort Worth, TX lawyer has gone viral with crazy funny commercials. 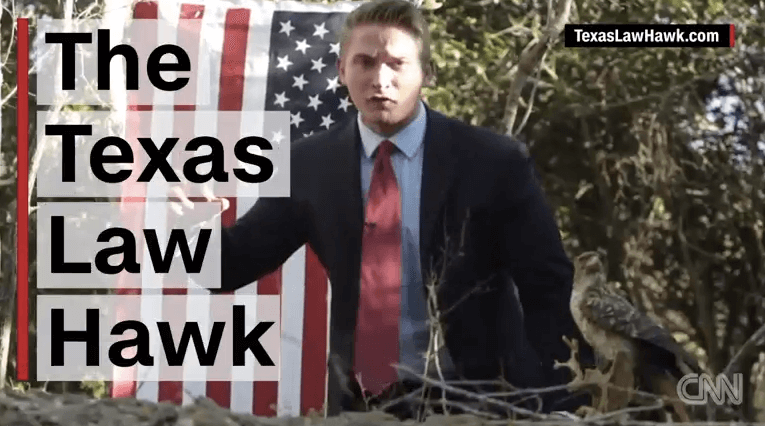 Call him, Texas Law Hawk. Call him, Crazy. But whatever you do, just call him. 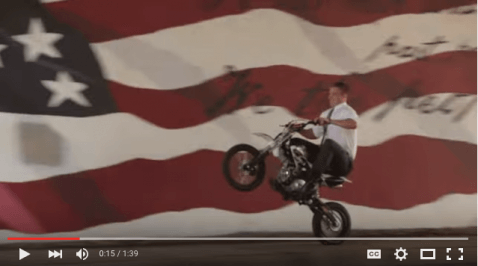 Texas attorney Bryan E. Wilson has become a viral superstar thanks to his wild online commercials, which feature everything American—bald eagles, American flags, loud talking, and motorcycles. His catchphrase, “Bryan Wilson, talons of justice!” is brilliant in its weirdness, and in nearly every crazy shot of his videos, one can hear a loud bald eagle shriek in the background. 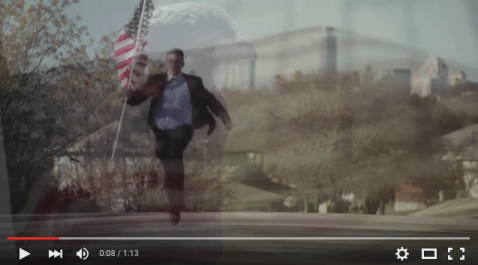 An American flag, a bald eagle, the Texas Law Hawk–Wilson’s ad has everything. Screengrab courtesy of Youtube. 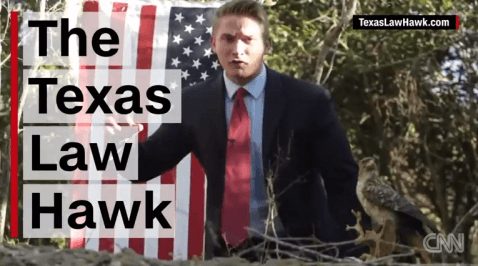 From his wild ads and blog posts, the 29-year-old self-proclaimed “Texas Law Hawk” has branded himself as a Chuck Norris-like Super Texan who will fight his way for your freedom. His badass, super patriotic persona is memorable and amusing, although strange for a lawyer. According to CNN, the criminal attorney’s in-your-face ads were intended only for the internet, where they have made a splash. His third commercial for instance has almost 1.5 million views on Youtube. “I just put these on my Facebook, and ask my friends, ‘Hey, if you think this is funny, share it,” Wilson said to CNN. Is Wilson’s message that he will ride his way towards your constitutional rights? Screengrab courtesy of Youtube. Wilson’s firm is based in Fort Worth. He started his own practice in 2013, shortly after graduating Texas Tech University. The dean of Texas Tech University Law School, Darby Dickerson, mentored Wilson. She said he showed her the first commercial’s script before he posted the finished product online. Dickerson worried that the fun but unconventional ads would brand Wilson negatively. However, she believes only other lawyers would not take offense, not potential clients or the public. Wilson’s ads feature crazy shenanigans like kicking a computer out of a police officer’s hands and driving through a glass window, but he said the Texas State Bar Advertising Review approved his ads, ensuring that they meet ethical standards. Wilson’s next ad should be out in June of 2016. “I am going to keep making them crazier and crazier,” Wilson said. So how crazy are Wilson’s ads? Check them out below.